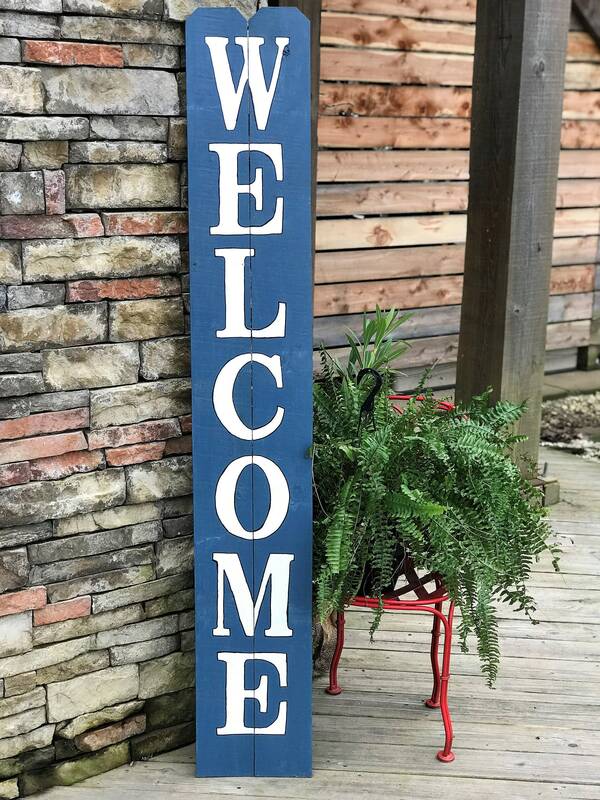 - This particular sign is medium navy as the base . The lettering is painted white with kelly green trim. My signs are always 100% hand painted and vinyl is never used. Not the colors you were wanting? Just contact me and let me know what you’d like!